Inspiration for what I cook, and ultimately write about here, comes in many forms: cookbooks, blogs, meals out, farmers market visits, and glossy magazines all play an important role. Hotel breakfast buffets, not so much. One exception: this simple but much-loved-as-of-late breakfast. Last year, my boyfriend Andrew and I spent a stretch of our trip to Japan at Tokyo’s Park Hyatt. Best known as the backdrop of Lost in Translation, the Park Hyatt also serves up a truly-superlative breakfast buffet. Each morning, I’d find myself piling my plate high with a variety of pristine tropical fruit and a bite-size pastry or two, but the real draw came from the spread of roasted tomatoes, mushrooms, potatoes, sausages, and eggs. Typical components of a full English breakfast, this combination is nothing new, but the Park Hyatt’s version was spot-on, and made a critical swap: Japanese beech mushrooms for the standard sliced button. 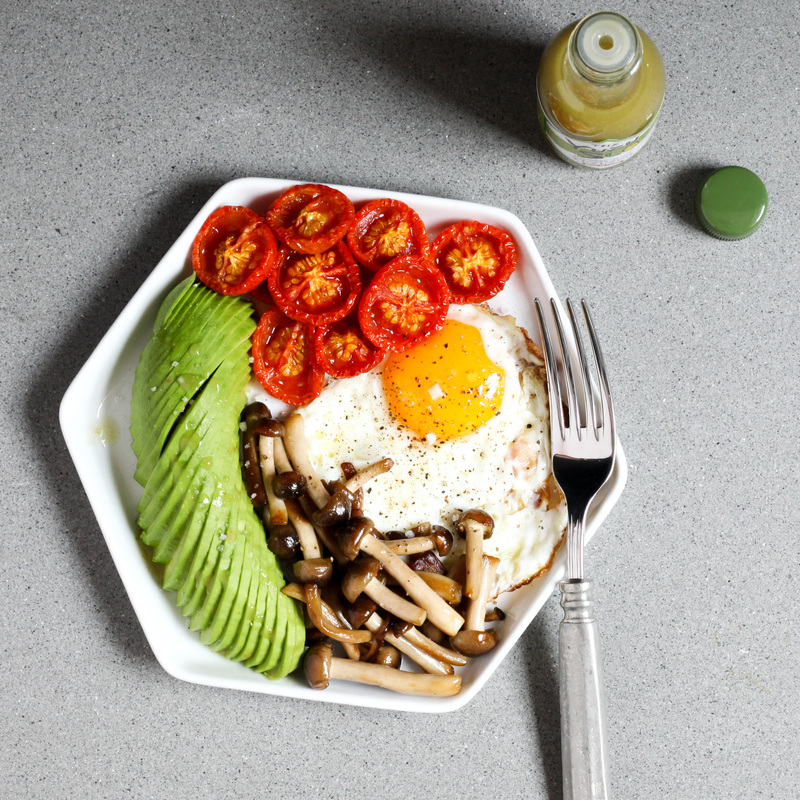 Since returning, I’ve started many a day with a combination of my favorite parts: tomatoes, sautéed beech mushrooms — I usually buy these at an Asian supermarket, where they’re a steal — a couple poached or fried eggs, and some sliced avocado (I am a California girl, after all). This time of year, tomatoes are hardly inspiring, so I stick with sweeter cherry tomatoes and slowly roast them at a low temperature until concentrated into flavor bombs (about half way in between a raw and a sun-dried tomato in texture). 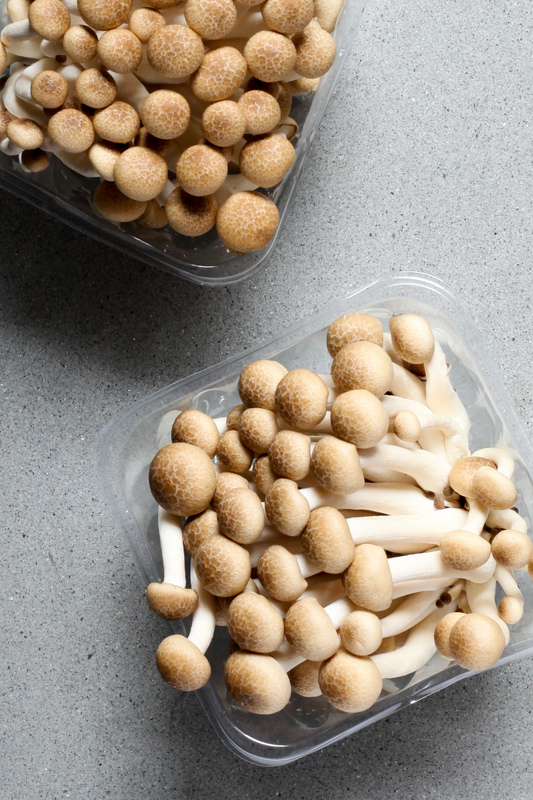 Beech mushrooms are a favorite both for their flavor and for their ease of cooking. Meatier in texture than most mushrooms, they cook quickly, and require almost no prep: just trim away the cluster’s root end. A long-time poached egg loyalist, I’ve been on a fried egg kick recently, and I owe it all to Smitten Kitchen’s Deb Perelman. Her technique for frying ridiculously-crisp-edged eggs is pretty darn genius. Not only is it foolproof, but it also skips with fussy tricks like separating the white and yolk or steam-frying the eggs. It’s as simple as cracking an egg into a bowl (no straining off the loose white), heating a small stainless-steel (nope, not nonstick) skillet over high heat with a generous glug of high-smoke-point oil (don’t even think of using olive oil here) until it begins to smoke, and turning the egg out into the pan. What comes next is a messy affair — don’t say I didn’t warn you to wear an apron — as the extremely-hot oil will sputter as the egg white bubbles and soufflés, but it’s pretty much impossible to screw up. The whites are cooked until deep-brown and crisp around the edges, while the yolks aren’t in contact with the pan long enough to overcook. It’s a fried egg to actually get excited over. Combined with the aforementioned veggies, it’s a breakfast that’s far greater than the sum of it’s (already excellent) parts. Roast the tomatoes: Preheat the oven to 300°F. 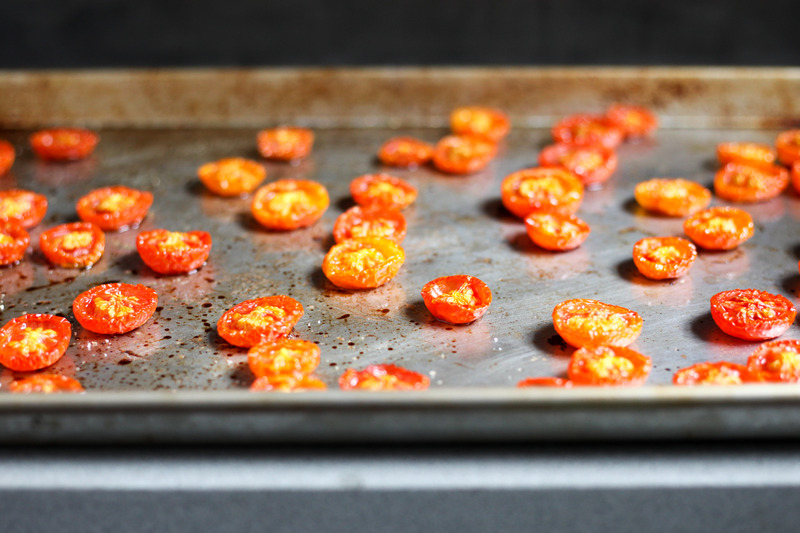 Add the halved cherry tomatoes to a half-sheet pan. Drizzle with olive oil and sprinkle with salt. Roast for about 1 hour, or until they've reduced in volume by about half. Sauté the mushrooms: In a large skillet, heat the neutral oil over medium-high heat until it just begins to shimmer. Add the mushrooms and salt, and stir to evenly coat the mushrooms. Cook, stirring occasionally, for 3-5 minutes or until deeply-browned. 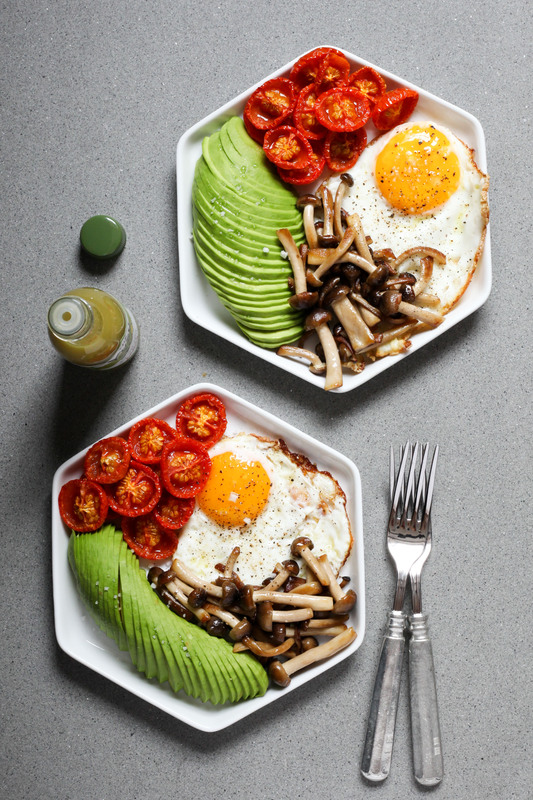 Divide the tomatoes and mushrooms evenly between 4 plates (or save half of each for the next day's breakfast, if making breakfast for 2). Fry the eggs: Heat a generous glug of neutral oil in a small skillet over high heat until beginning to smoke. Carefully add 2 eggs to the skillet, then step aside as the oil will sputter. Cook until the white is set and the edges are brown and crisp, about 1 minute. Wipe out the skillet before repeating the same procedure to fry the next batch. Add 1 or 2 fried eggs to each plate. Add half a sliced avocado to each plate. Sprinkle the avocado and fried eggs with flaky sea salt; serve with hot sauce. If you can't find beech mushrooms (they're readily available at Asian supermarkets; I've also found them at co-ops and Whole Foods), sub about 10 ounces of another type of mushroom, thinly sliced. The cook times may differ. Both the tomatoes and mushrooms can be made ahead of time; reheat them in a hot skillet. While I don't usually bother with an apron, I recommend wearing one while frying the eggs as the oil will sputter once the eggs are added and may stain your clothes if you're standing too close. 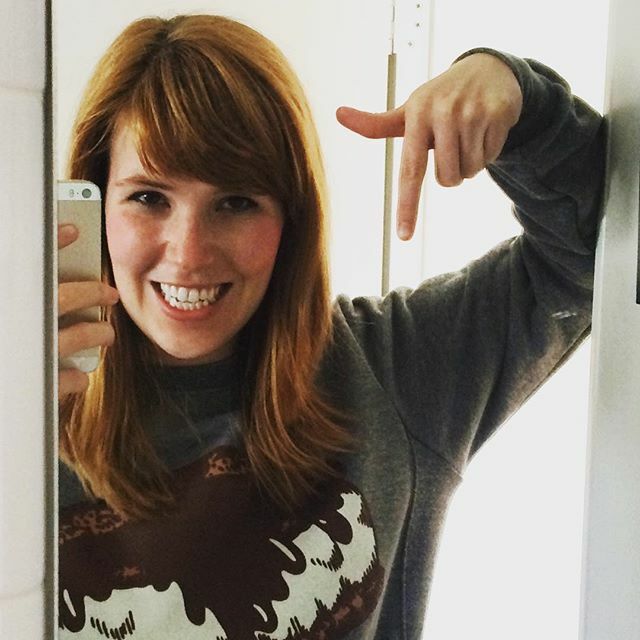 I have to tell you that finding your blog has been a God-send for me! 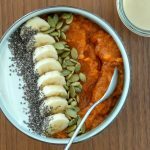 I’m starting my second Whole 30 tomorrow, and I needed some simple meal ideas that I would actually like and eat! your recipes look delicious and simple! thank you for sharing! Hi Annie :). 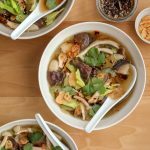 So glad you found some Whole-30-recipe inspiration here; it can certainly be tricky finding exciting recipes that stick to the rules, especially when you’re first embarking on it. (Two of the best swaps I found were using fish sauce instead of soy sauce for a similar salty-umami hit, and adding diced pancetta instead of grated parmesan or other cheeses to veggie-heavy scrambles, like the kale and sundried tomato scramble that’s on this blog.) 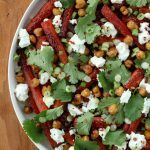 Good luck, and I hope you enjoy this recipe (and any others you might try)! Your recipes are good, but they lack convenience and foresight. Who REALLY wants to fire up their oven for an hour just to roast a handful of grape tomatoes. At 425 they would take less than 20 minutes. Right? Hi Greg. Thanks for your feedback! I get what you’re saying, and you certainly could cook the tomatoes at a higher temperature for a shorter duration, though the results will not be quite the same. When roasted at a low temperature (and for a longer period of time) the tomatoes shrink considerably, as much of the water is cooked off, and boast a texture and flavor somewhere in between a fresh cherry tomato and a sundried tomato. (It’s an especially good trick to employ if you find yourself with so-so tomatoes.) At a higher temperature, the tomatoes cook, but won’t share that chewy texture and intensity of flavor of the low-and-slow version. It’s definitely not the most speedy way to go about things, but I don’t mind, as I’ll often roast up a double batch; reheated, or at room temperature, the leftover tomatoes are quite tasty! I am not sure about all of the ingredients and having them in my pantry. I am on a fixed income and would like recipes that would fit to his budge. Hi Tommie. Thank you for your note! I agree that this recipe isn’t the best pantry-based option as it’s mostly fresh items. One way to make it more budget-friendly would be to substitute sliced button or cremini mushrooms for the beech, and to use whatever high-heat-tolerant cooking oil you typically cook with (I call rice bran and grapeseed out, as those, plus refined coconut oil are my go-to neutral oils, but there’s a wide range of oils that would work). 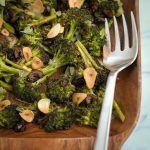 As for budget-friendly recipes, these are a few favorites of mine that you might like: http://www.amodestfeast.com/2016/07/19/spicy-chickpea-tomato-ragout/, http://www.amodestfeast.com/2016/01/30/broccoli-white-bean-soup/, http://www.amodestfeast.com/2016/09/14/spaghetti-squash-hash-browns/.